Brinjal is a common vegetable used around the world. It is called by various names around the world like aubergine, eggplant, melongene, brinjal and guinea squash. In India it is used in making sambar, curry or gravies. 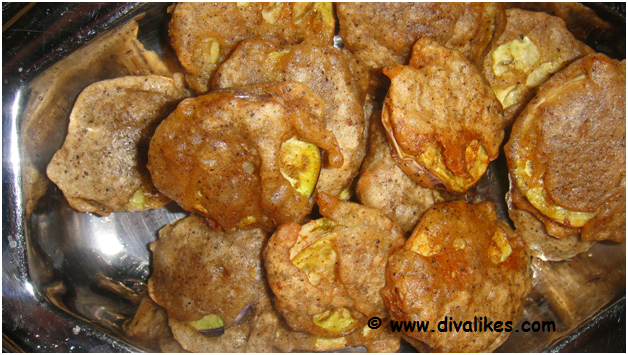 I made this brinjal fritters as a snack and it was finished within minutes. 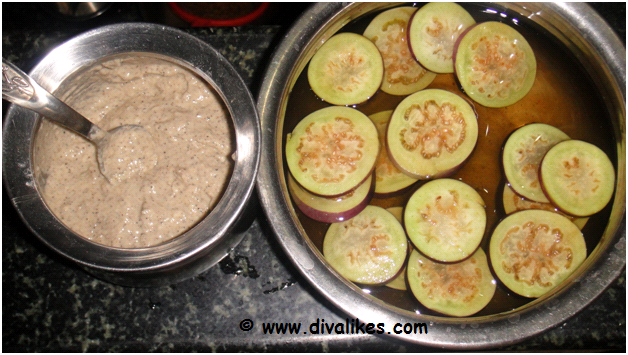 Wash and slice the brinjal into round pieces. Mix all-purpose flour, salt and pepper powder into a thick batter. Heat the oil in a pan. 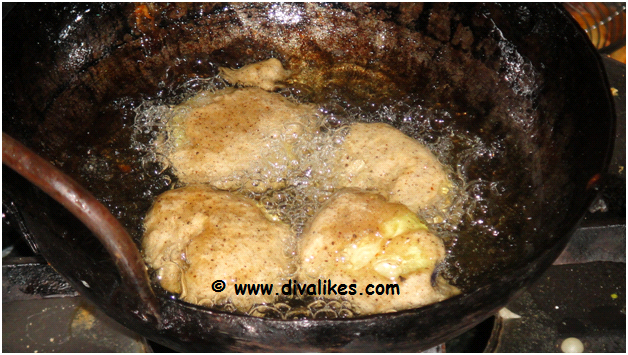 Dip each brinjal pieces in the batter and deep fry in medium flame. Fry till golden brown and crisp. 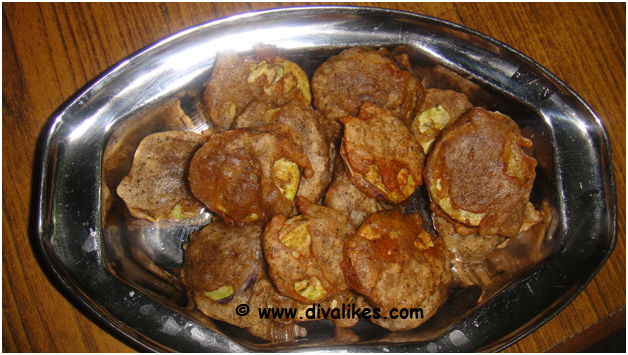 Brinjal fritters are now ready to be served. After slicing the brinjal, immerse them in salt water to avoid darkening. Serve the Brinjal Fritters with tomato sauce or mint/coriander chutney.